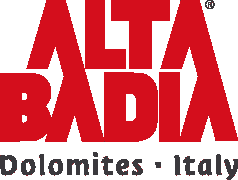 South of the Alps, in the river Gader valley, is situated in the heart of the Dolomites - is situated ALTA BADIA holiday region (m 1552 - m 2778). 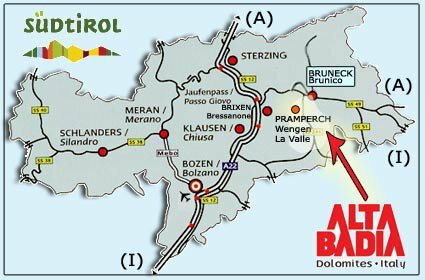 Fot the Pramperch area (outskirt of La Valle/Wengen municipality) from the Gadertaler road (state road SS244) in Pederoa, in front of the Pizzeria 'Trafoi', turn right (if coming form Bruneck/St.Lorenzen) or left (if coming from Corvara/Curfar). After the 3rd bend turn left and fallow the Pramperchhof road sign.